Was very well received by group. She took time to learn what we were and geared her presentation so that it made an impact on the group. 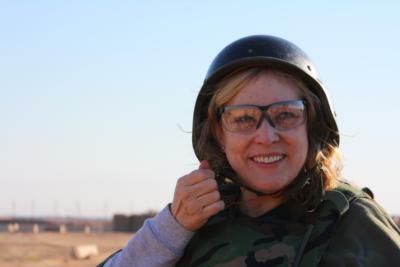 Sharon was absolutely hilarious and was extremely well received by our group. We enjoyed the interspersing of life lessons with humor. I would definitely recommend her to anyone. Sharon is very talented and has a warm presence. Our employees enjoyed her presentation. Sharon was a joy to work with. I've never had so many positive emails and thank yous from employees. They just loved her and felt inspired in their jobs. She connected on a personal level and touched everyone as well as making us all laugh a lot!! 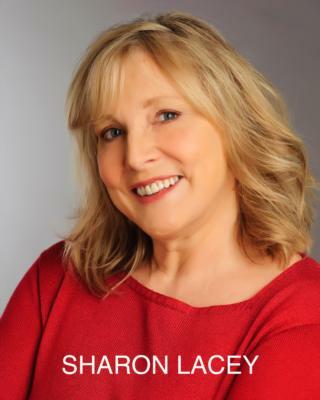 I'd highly recommend Sharon Lacey for any corporate event or staff training!! Sharon was a pleasure to work with. She was very timely in responding to communications with her whether it be through email for phone. Our group really enjoyed her humorous, uplifting presentation. Sharon showed up well ahead of our start time so there was no rushing around trying to set up at the last minute. Overall, I'd say she was a hit. Members of our team commented to me for days afterwards, how much they enjoy her. Sharon was very accommodating. Her humor was just perfect for the client base I brought to the event. I would highly recommend Sharon for any event. Sharon Lacey did very well at our event. We appreciated having her here. The majority of our staff really enjoyed her performance and wished it was longer. They especially loved when they paired up and did some team building games. We were a little surprised that she brought items to sell and incorporated that into her program. We would have structured it differently if we had known she needed about 15-20 minutes after for people to be there to shop. On the administration side, we loved that she called some of our staff to better understand our organization. We think it added such a wonderful personal touch to have our employees quoted about their jobs. Sharon is a very funny lady. She is a great story teller and her interactive exercises are designed to take you out of your comfort zone, but yet achievable. People who love to have fun are going to love her. I appreciated that she adjusted her performance to the audience she was performing to. She briefly interviewed several of the attendees prior to the conference to gain knowledge about their profession. 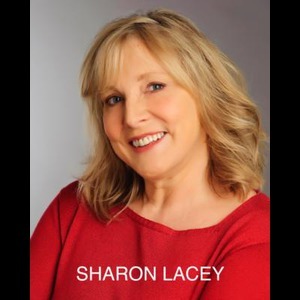 Please note Sharon Lacey, Motivational Humorist will also travel to Beaverton, Vancouver, Lake Oswego, Tigard, Marylhurst, Clackamas, Aloha, Fairview, Gladstone, Gresham, West Linn, Camas, Troutdale, Tualatin, Hillsboro, Oregon City, Brush Prairie, Boring, Sherwood, Saint John, Wilsonville, Heisson, North Plains, Ridgefield, Washougal, Battle Ground, Corbett, Canby, Cornelius, Scappoose.